λma x e mission at 540 nm. been used as the active emissive layer in OLED devices [4-7]. 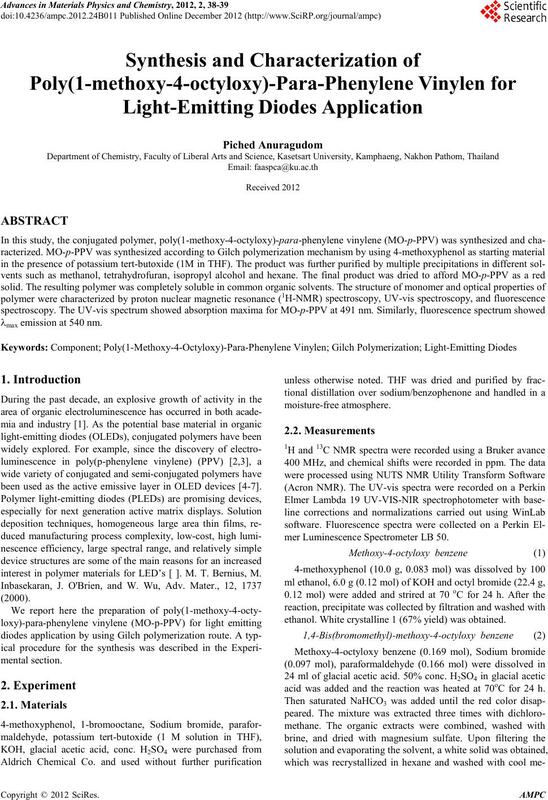 interest in polymer materials for LED’s [ ]. M. T. Bernius, M.
mer Luminescence S pectro meter LB 50.
ethanol. White crystalline 1 (67% yield) was obtained. acid was added and the reaction was heated at 70oC for 24 h.
thanol to give white crystals of pure 2 (60%). sion band at 540 nm. PPV) was successfully synthesized by Gilch polymerization. fluorescence at λmax emission = 540 nm. 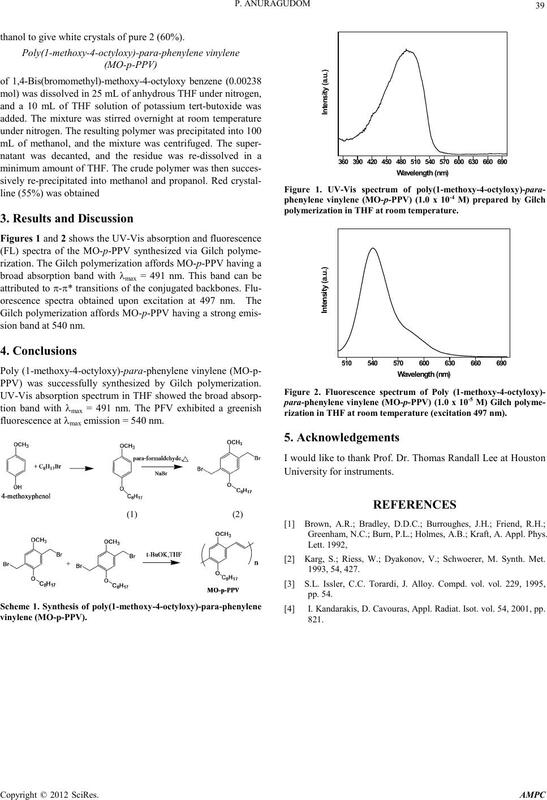 polymerization in THF at room temperature. rization in THF at room temperature (excitation 497 nm). Greenham, N.C.; Burn, P.L. ; Holmes, A.B. ; Kraft, A. Appl. Phys. Karg, S.; Riess, W.; Dyakonov, V.; Schwoerer, M. Synth. Met. I. Kandarakis, D. Cavouras, Appl. Radiat. Isot. vol. 54, 2001, pp.